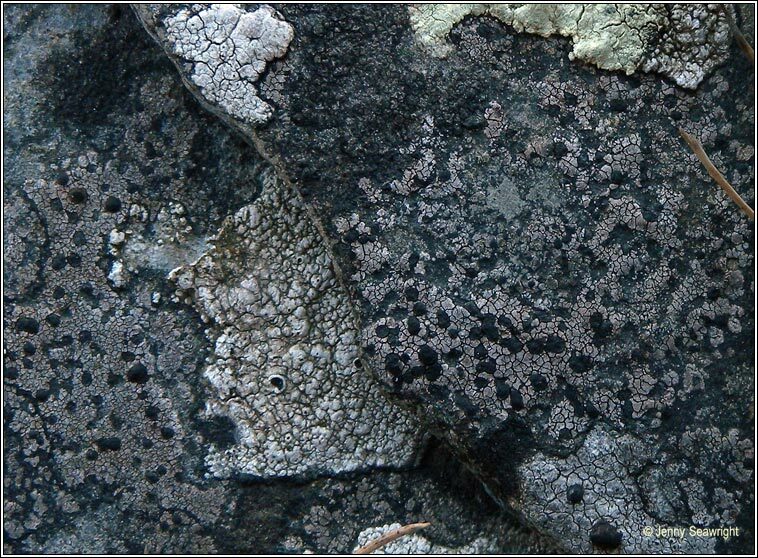 Photos: On acidic coastal rock. Dunmanus Bay, Cork, SW Ireland. 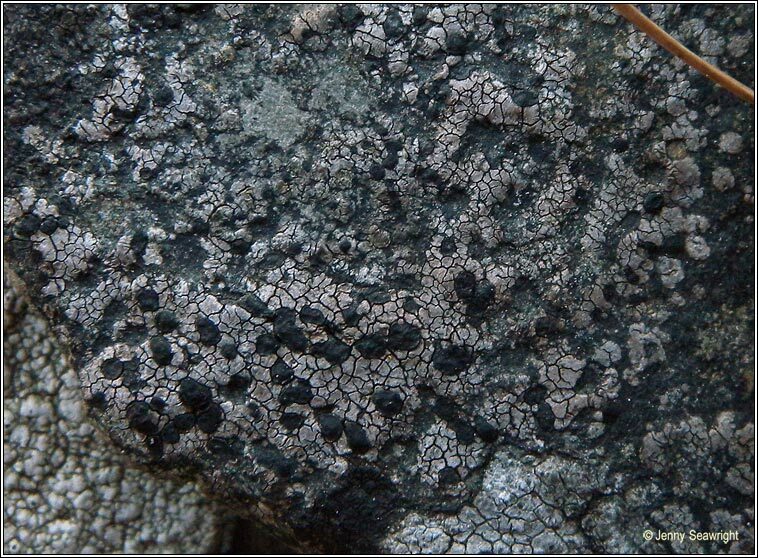 Brown to greyish-brown, areolate-cracked thallus, often with purplish tinge. Fimbriate blackish-brown prothallus is often present. 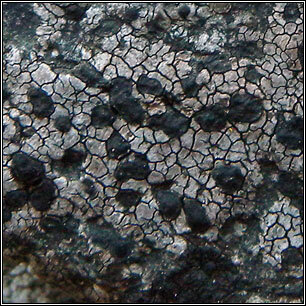 Innate, flattish black apothecia with thin margins. The epithecium is dark-green or grey and K-. Usually coastal, occuring on siliceous pebbles and rocks. Medulla: K+/- yellow, usually C+ red, P+/- orange.